HomeInspireWHAT HAPPENS WHEN A PERSON DIES? There come a time when each one of us will face the inevitable. Some of us will face it early and some will face it because of old age. Whatever it is, it will happen. Everyone will die someday. A human being is made up of 3 parts. They are the physical body, soul, and the spirit. 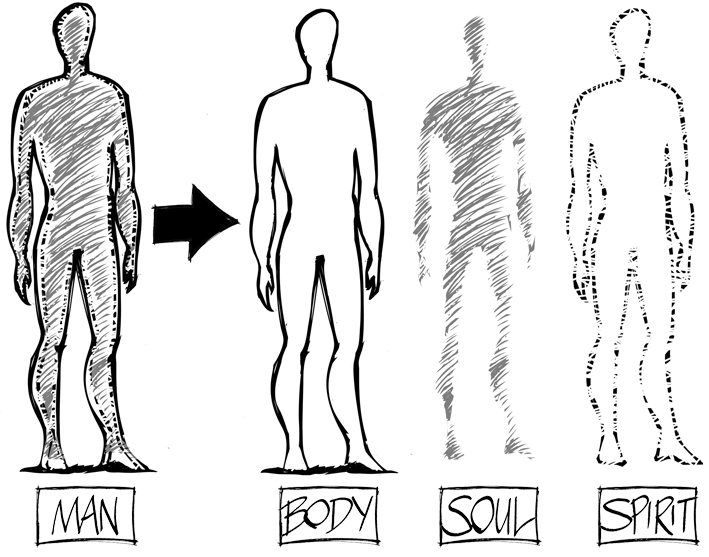 The physical body is where all your muscles, tissues and organs are. The soul consists of your mind and all your emotions. Your intellect or creativity and the way you think are all part of your soul, that leads to the way you behave. Your emotions from the ecstatic to the tears, from acceptance to bitterness, from determination to giving up and from jealousy to hatred or revenge to whatever that is causing you to feel, these are all part of the emotions that is consider the soul. Finally we have the spirit which only human beings would have, the moment we are conceived. This is creation and that is the reason why we are created differently from the animals. Animals do not have a spirit. We have a spirit which parallels our physical body. This is the only dimension, the spirit dimension where we can connect our spirit to God because God is a Spirit. We worship God by faith and in spirit and in the truth of who our God is through His Son Jesus Christ. However if you do not have Christ in you because you do not believe in Jesus, the Son of God as our Savior and Redeemer, then you would not be born-again and have no access to the living God, the creator of the heavens and earth. Let us look at what Jesus said about what happen to a person when he dies in Luke 16:19 to 23. V20 And there was a certain beggar named Lazarus, which was laid at his gate, full of sores. V22 And it came to pass, that the beggar died, and was carried by the angels into Abraham’s bosom: the rich man also died, and was buried. V23 And in hell he lift up his eyes, being in torment, and seeth Abraham afar off, and Lazarus in his bosom. 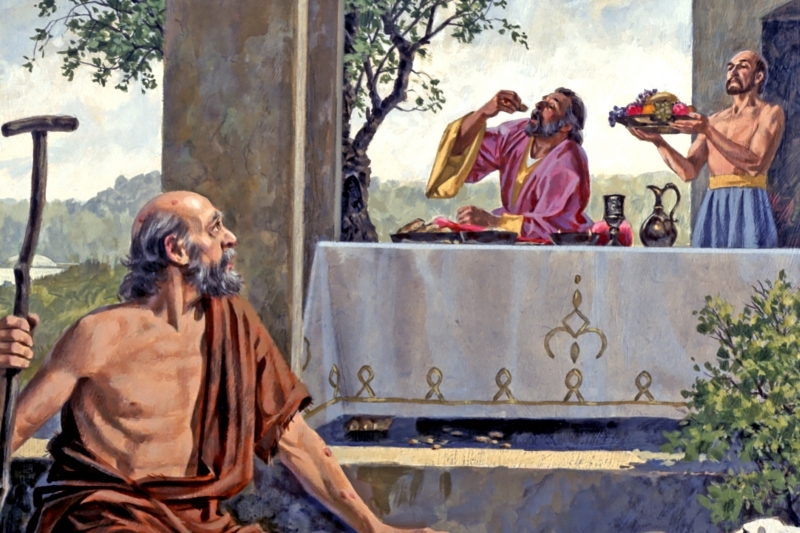 The rich man in this context is a picture of someone who is self-righteous and unjust who cares only about himself and is a Jew since he is known to Abraham. The beggar however is a picture of a Jewish man who lived a tragic life but kept his faith in God despite his unfortunate life. You will notice that when the beggar died, angels came and carried him away. In other words he was merely moving from one dimension to another dimension when his physical body stopped living but his spirit became his consciousness. The beauty about his death is there was no fear or pain as he was gloriously ushered by the angels of God. This is similar to medical science findings and testimonies of people who experience momentarily death but came back to life, where they always describe seeing a bright white light ushering them to another dimension which is the spirit dimension. Some gave an account that their spirit left their body which they can view. Their consciousness then is as a spirit in the spirit dimension. Whereas the rich man when he died, he had a funeral and was buried. There was no angels ushering him to the next dimension. There was no bright light which was peaceful that led him over. In fact he was more like when we fall asleep, our eyes shut and we slip into a sleep of unconsciousness. But what is shocking was that when he was about to open his eyes. He probably thinks he deserved to be in a heavenly place but he was in for a shock. The moment he lifted up his eyes, all he saw was flaming fire and torment. There it goes the beginning of a tormented life. I can imagine those people who have been deceived and was promised a ticket to heaven if they would obey a certain sets of laws and rituals or perhaps set themselves on fire or become a suicide bomber. They will have a shock of their life when they die and move into non-existence momentarily and then when they open their eyes, like one waking up from their sleep, they find themselves they are actually in hell and there is no escape route. To all the born-again Christians, may I remind each and every one of us that it is our duty to share the gospel of the grace of Christ to everyone because just as we believe that Heaven is real, so is Hell, it is also real. It is so real, that it is mind boggling and depressive to think of our loved ones who rejected Jesus and the knowledge of Him as a saviour and the Son of God. To all the readers of this article, may the grace of God be multiplied to you abundantly.